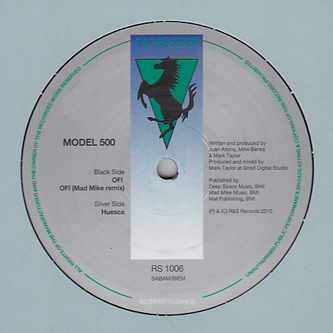 Seventeen years since their first R&S release, Model 500 return to the label with the same classic chassis driven by a retuned motor including Mad Mike Banks, Mark Taylor (aka Vintage Future) and DJ Skurge alongside the original catalyst, Juan Atkins. The group have been playing live shows together since 2007, developing a lithe new techno "band" format. 'OFI' is the first result of their recording sessions, sticking to the original blueprint of mean but funky electro with Juan's vocals sparingly used over classic riffage and crisp rhythm programming. 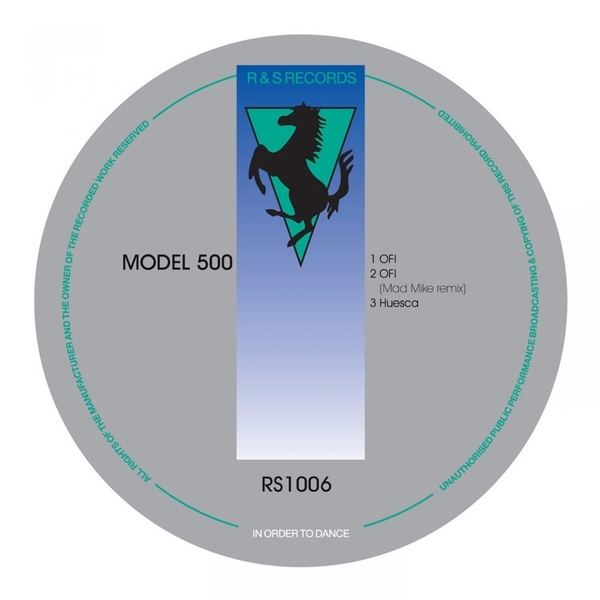 For our money, Mad Mike Banks improves on the original with his Hi-Tek funk rework, stripping the original down in order to boost the punchy, swinging drums with booming 08 pulses while tucking the lead melody deep in the pocket with minimal fuss for maximum effect. Over on the flip they hit a blooming marvelous techno stride with 'Huesca', layering and filtering soul-lifting UR strings with magical synth bursts for a puckered dancefloor ride, Detroit styles.